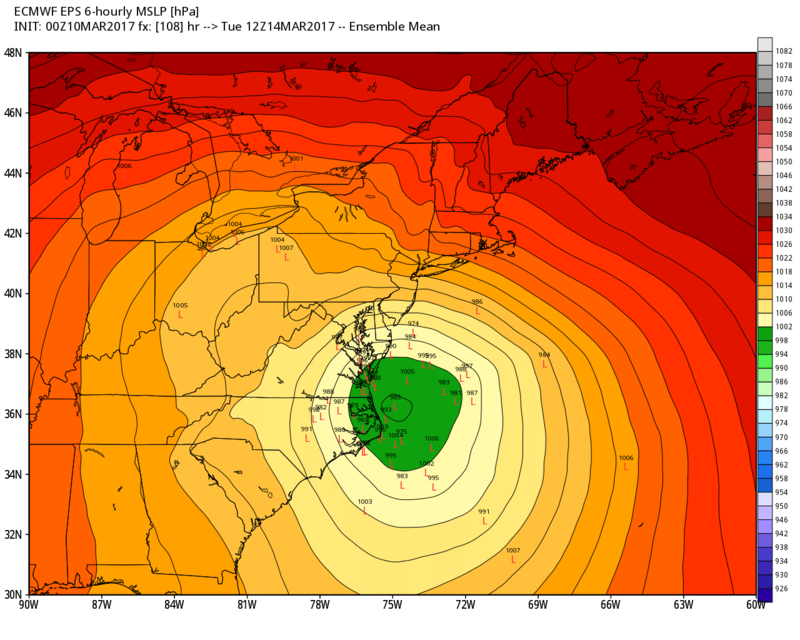 The Classic Cape Hatteras to Cape Cod Track? 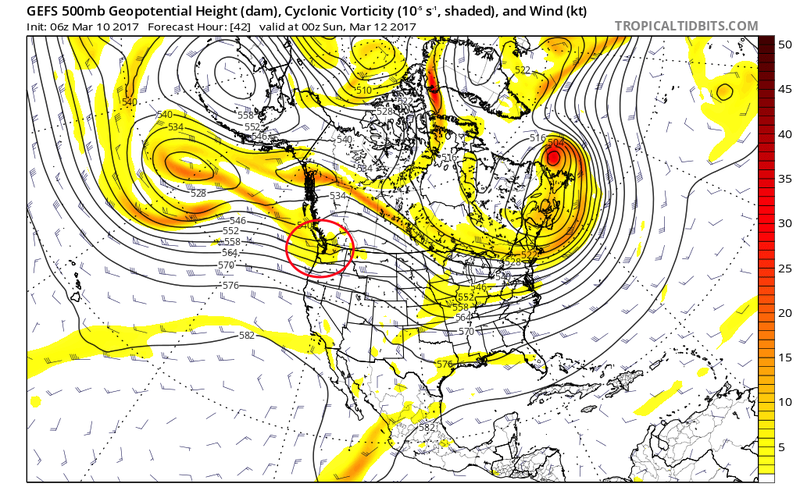 The disturbance over the Pacific Ocean that will be responsible for the eventual exact storm track of the Nor’easter early next week is currently forecast to reach the Puget Sound Saturday around 6PM EST. 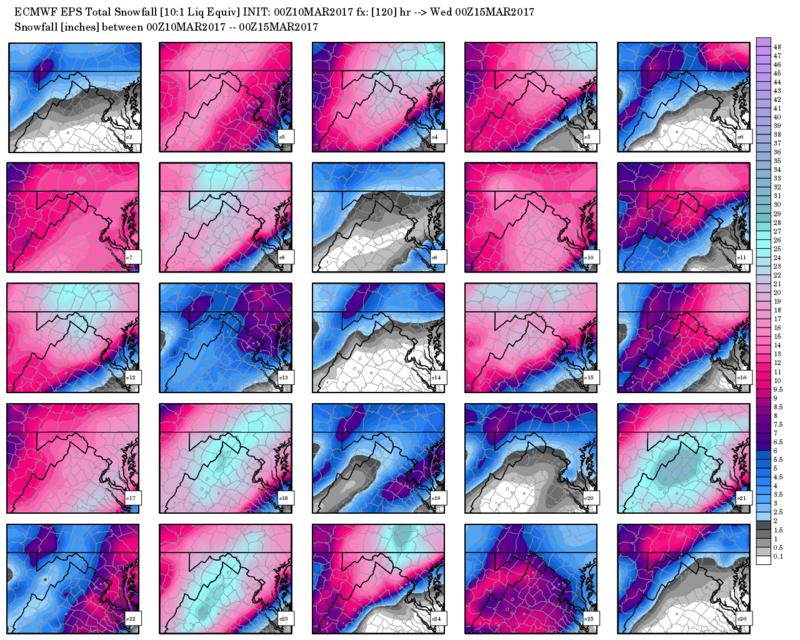 At that time the operational forecast models will have the most accurate sampling data. I would not be surprised to see Winter Storm Watches issued for portions of the Mid-Atlantic and New England Saturday afternoon or evening if the current trends continue. 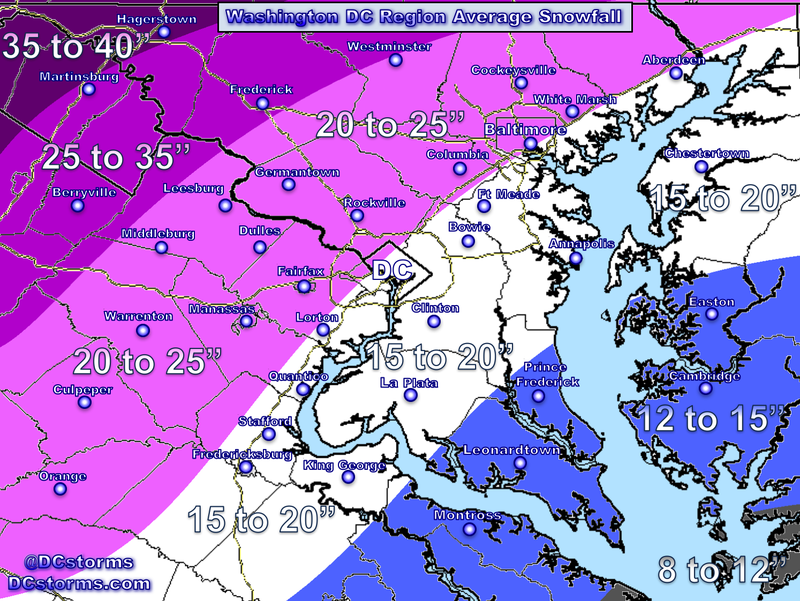 Historically the ideal track for Washington’s biggest snow storms is the “Cape Hatteras to Cape Cod track”. 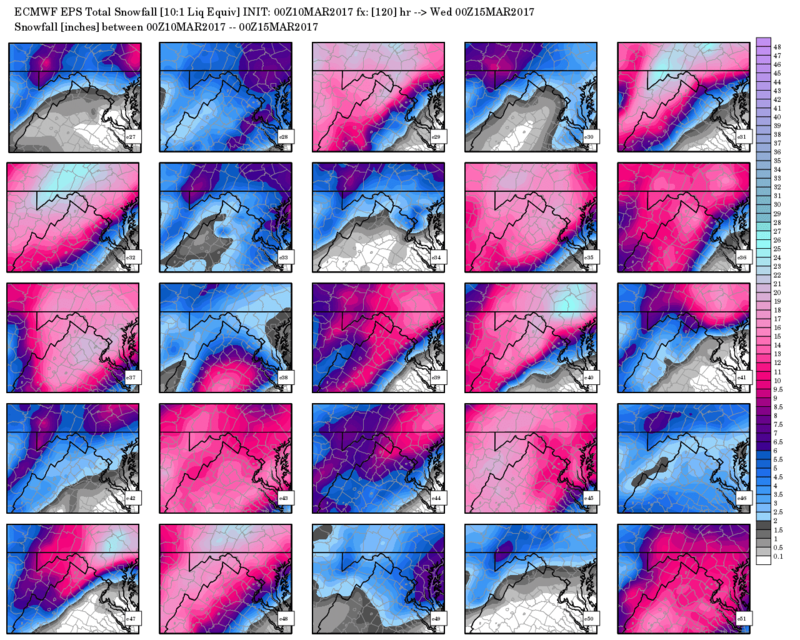 Currently, the GFS and European ensembles are beginning to suggest this possibility. Please note that the “L”s on these maps along the coastline are the potential location of the surface low and any deviation closer to the coast or further off the coast would greatly alter snowfall amounts (a track closest to the coast will bring in mild air/a track too far off the coast would keep heaviest snow along the coastline with less inland). 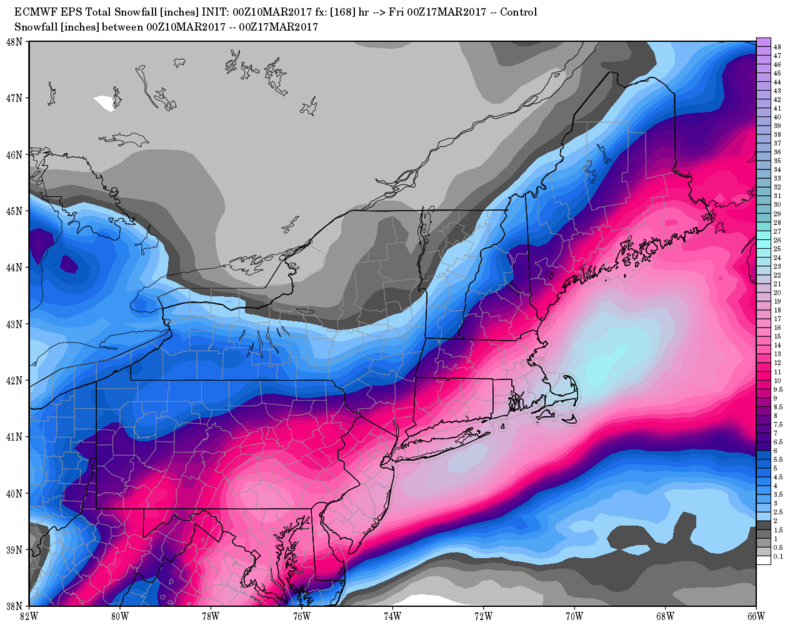 The devil is always in the details and I caution anyone (myself included) to make any snowfall accumulation predictions this far out. 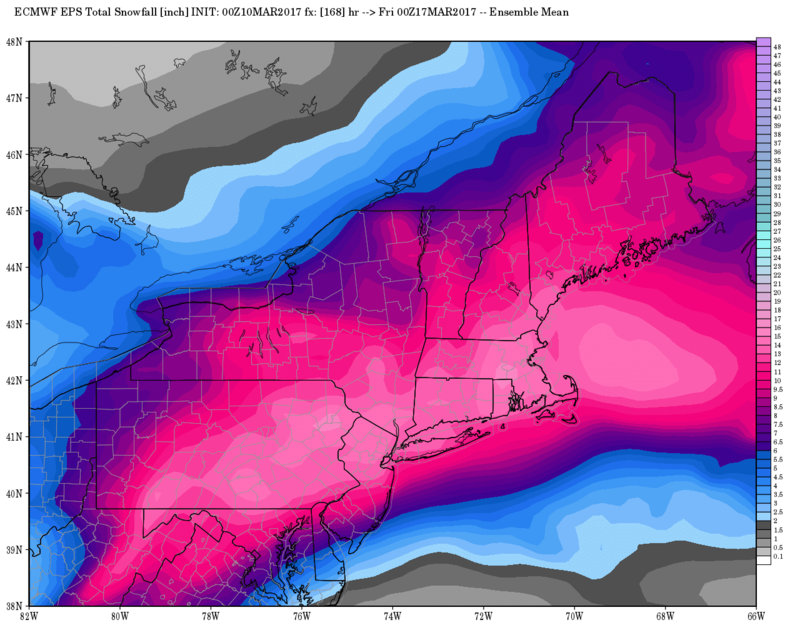 I am simply showing you the latest ensembles so that you get a better insight into all the politics and frustrations involved with weather forecasting. 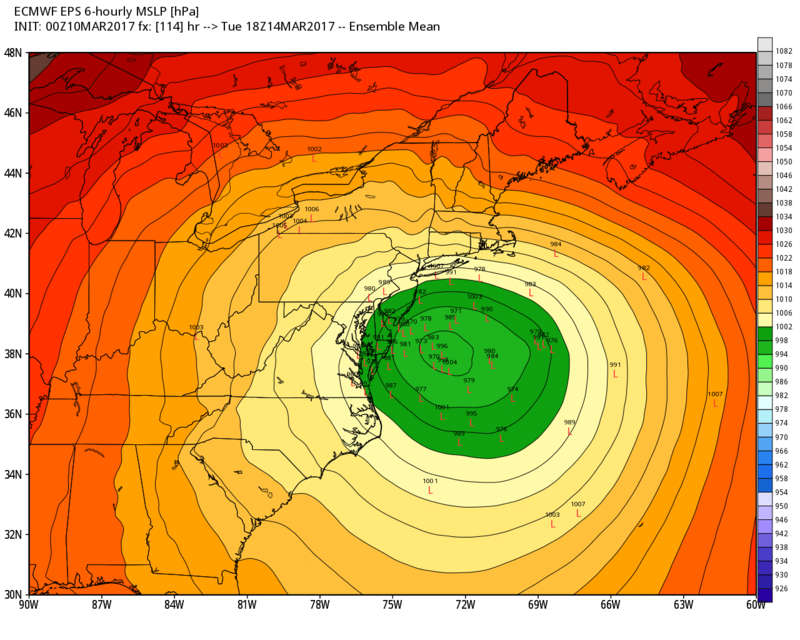 The good news for now (for snow lovers) is that currently (subject to change) we have what is looking like the potential for a classic Cape Hatteras to Cape Cod track. For those of you who are worried about your plants I would remind you that snow isn’t the enemy… bitter cold temperature are. Snow acts as an insulator and keeps anything it covers at 32 degrees versus being exposed to temperatures in the teens. We are in a Severe Drought. The last thing we need is to head into April with water restrictions and brush fires. 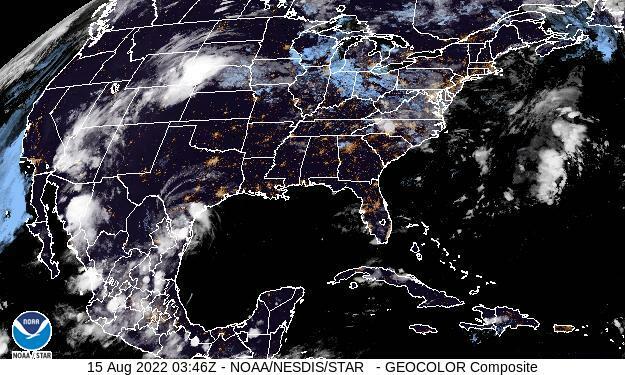 If this storm pans out… it will certainly offer some much-needed relief from the drought. 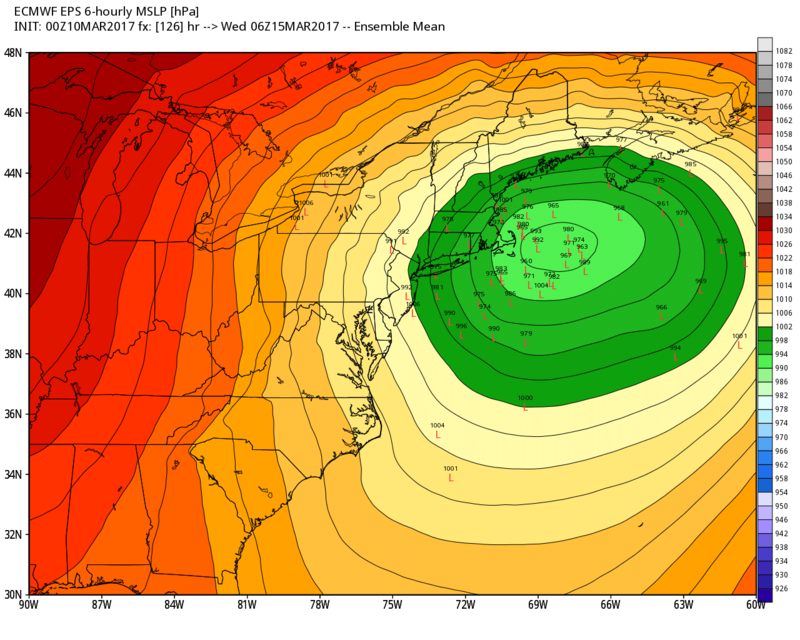 The latest GFS Ensembles (shockingly) have steadily been increasing probability for snow in the Mid-Atlantic and New England (Northeast corridor). 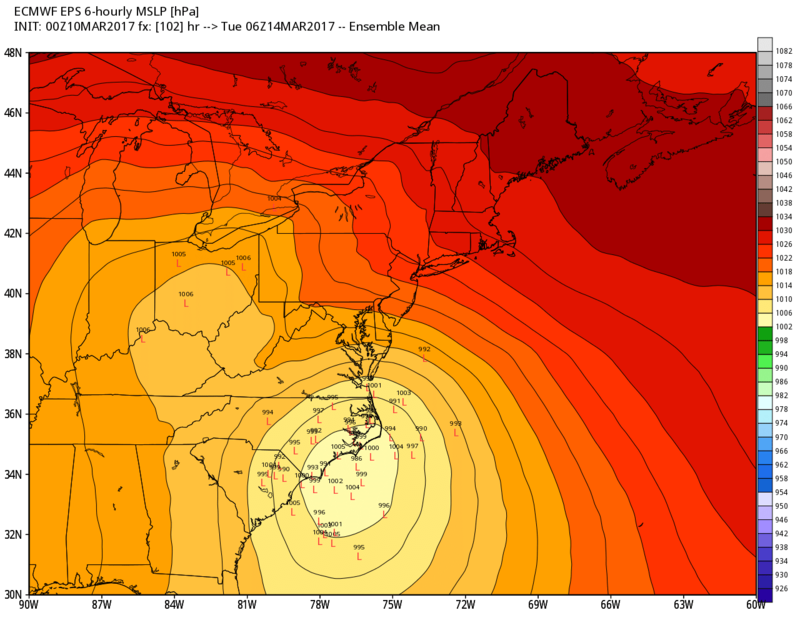 Again remember, we still have several (4 out of 19) ensemble members (image courtesy WxBell) below that are in disagreement with the majority. The top right image (eC) is the control run and the last image (eM) is the “mean” of ensemble 1 (e1) through ensemble 20 (e20). 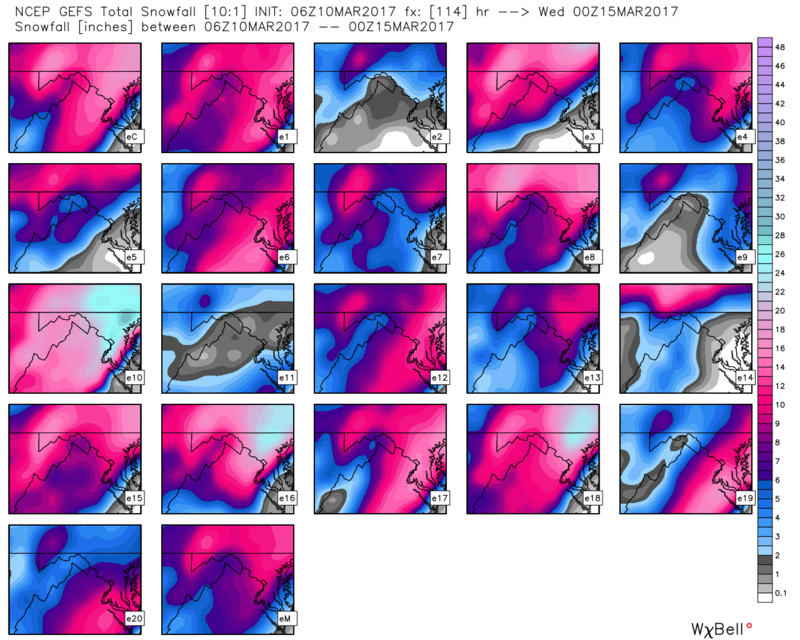 The latest European Control (this is the latest operational and should not be confused this with the ensembles). 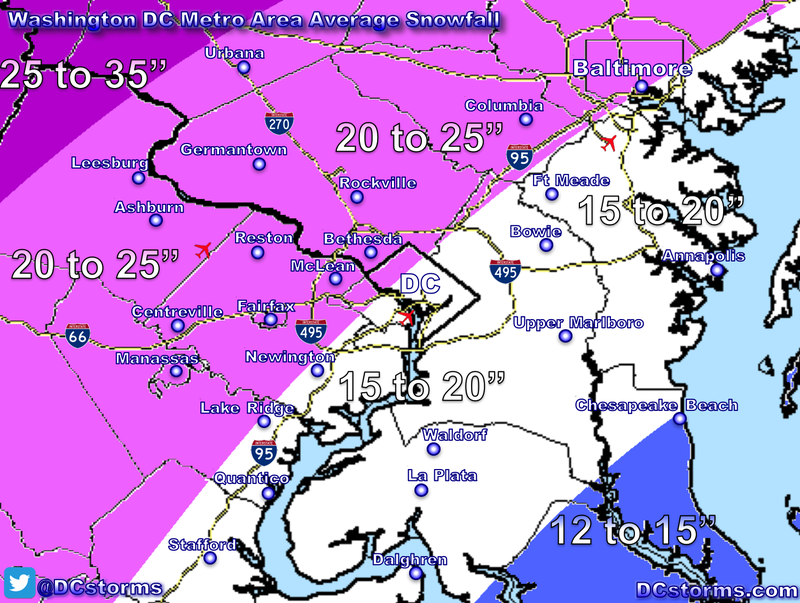 The operational model is showing the latest potential snowfall accumulation amounts based only on the latest sample of data (without tweaking). 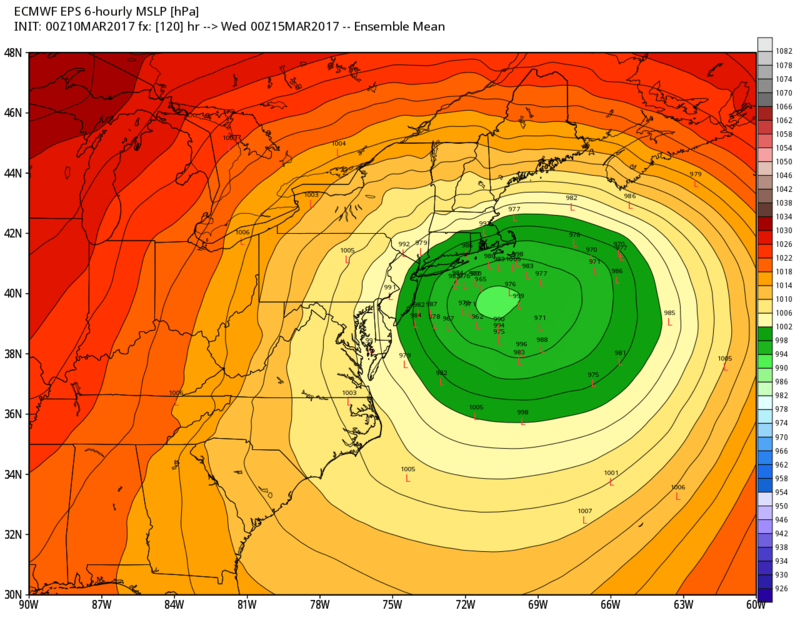 So again, take everything with a grain of salt as the forecast accuracy of where this potential Nor’easter tracks will improve once the sampling data improves Saturday afternoon & evening. Happy Friday! For those of you in northern Maryland I hope you enjoy the wet snow flakes falling. Hi Chris, the forecast will get much more accurate tomorrow afternoon as the sampling data will be best when the upper-level disturbance tracks above the Puget Sound. All the models have some snow accumulating across parts of our area and while this is looking like a home-run right now, I want to hold-off on wish-casting right now (choosing the model that has the most snowfall, which right now is the European and GFS) because I think we will have a really good idea tomorrow afternoon. I guess for something 3-4 day off, it seems pretty locked in. I believe the main discussion now is whether going to be if it is a good event or a great event. Thanks for the shout out Tim. Title, Hatteras to Cape Cod?